Support the Virginia tradition of hunting with this great vintage item. 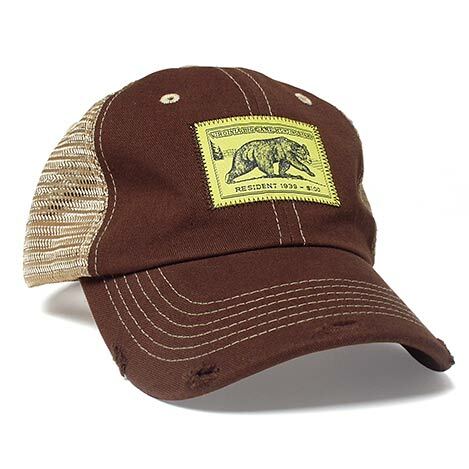 This 6-panel cap features 2 solid brown panels in the front, 4 khaki mesh panels in the back and a brown visor. 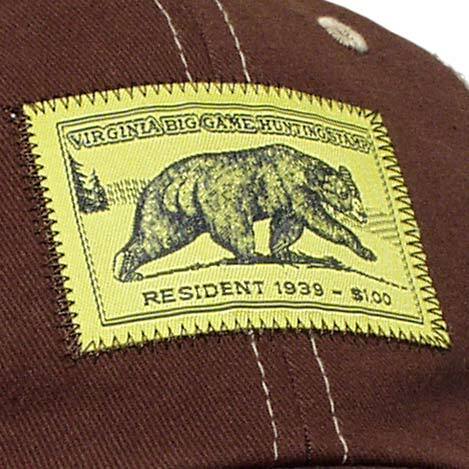 The 1939 Virginia Big Game Hunting Stamp with the featured black bear is pictured on the front.